Piers Morgan has claimed he is being bullied by companies on social media after making his views on vegan food very clear. In case you missed the whole shebang, Greggs launched their vegan sausage roll last week, dividing the internet in the process. Of course the one and only Piers Morgan lead the charge for the bizarrely affronted, firing off about the new product on Good Morning Britain and Twitter, angering a lot of people. Piers didn’t stop there though and things only escalated when Greggs replied to his initial tweet saying ‘oh hello Piers, we’ve been expecting you’. 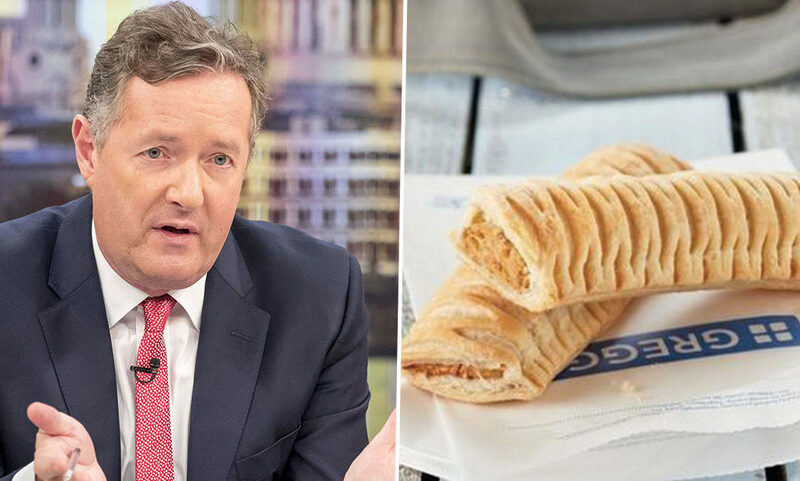 Receiving over 145,000 likes at time of writing (January 5), Greggs tweet proved to be popular with the internet and so other companies followed suit taking to their social media to flaunt their latest vegan products in Piers’ face. Like our pals at the sausage roll place, we’ve been expecting you. Don’t worry Piers, you can still get McNuggets in your Happy Meal! Pizza Hut joined the bandwagon to advertise their new vegan pizza and take the mick out of Piers. Here’s a picture of our new vegan Pizza. Everyone tag Piers Morgan in it to ruin his day. Feel free to join in, Greggs. While thousands loved these companies’ use of social media which advertised their products, one person in particular was left unimpressed – Piers Morgan. Responding to Pizza Hut’s tweet, Piers claimed he is a ‘vegan victim’ being bullied by companies like Greggs and McDonald’s too, which in turn was ‘damaging his mental health’. This is corporate bullying specifically designed to damage my mental health. I’m now a vegan victim.